Switzerland 4 is a snowy race that features the newly opened long winding road. 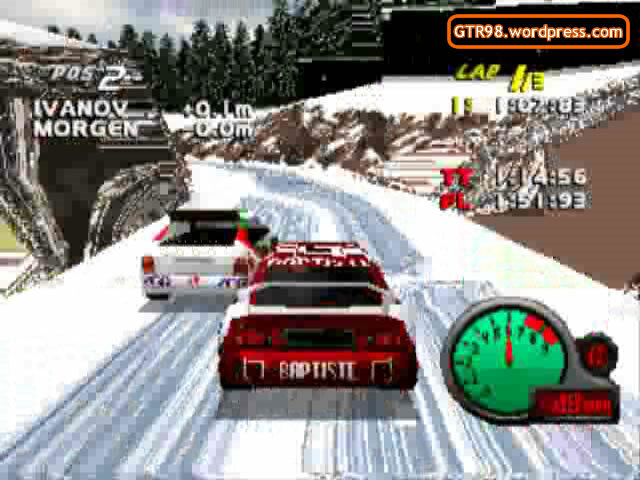 It is raced in the opposite direction with Rally cars. The long winding road is a narrow, 1.2-mile path of zigzags and switchbacks. 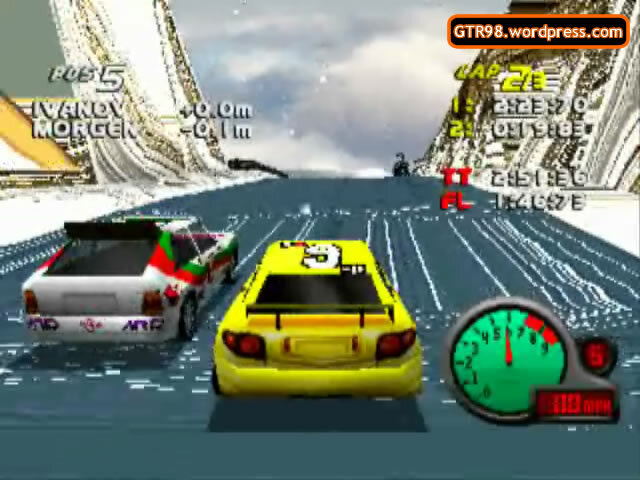 This level is also available in the modes Split-Screen and Head-To-Head as Switzerland A.
Switzerland 4 is very different from the preceding level, as it is raced on a new track in the other direction. 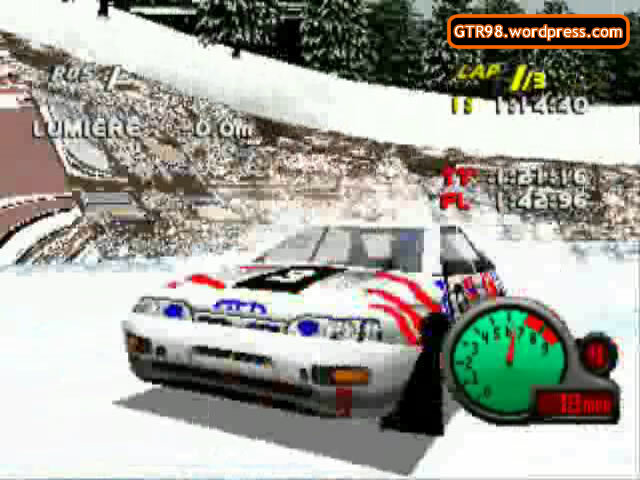 There is also extra snow on the road, and the opponents are more aggressive. AI Rossi and Morgen are dominant as they are strong overtakers throughout all three laps. 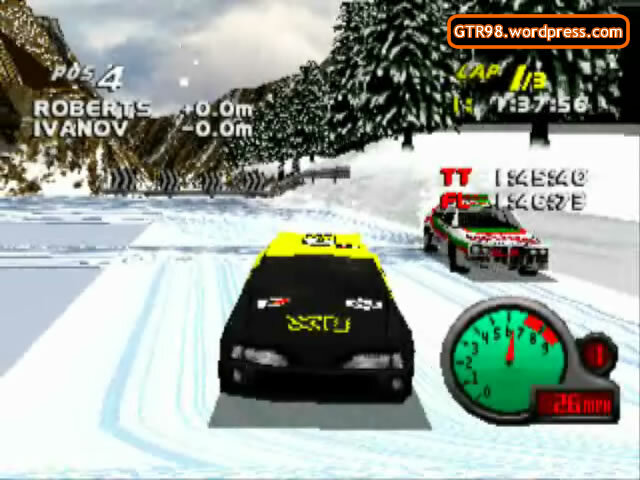 In Switzerland 4, cars will encounter the jagged area of the Swiss Alps, about midway through the lap. As this is a bottleneck, cars may attempt a Semi-Rampage and radically alter the AI positions. A major U-turn is present towards the end of the winding road. AI Opponents may occasionally get marooned at the U-Turn, becoming blind Carcasses who repeatedly hit themselves against the wall. The top speed range is between 140 and 160 mph. 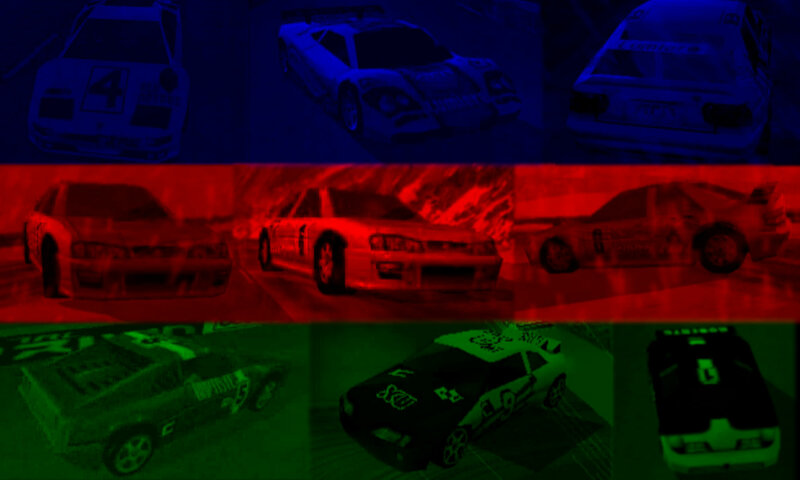 Polls are available when you scroll to the bottom of every page on this GTR98 Site.